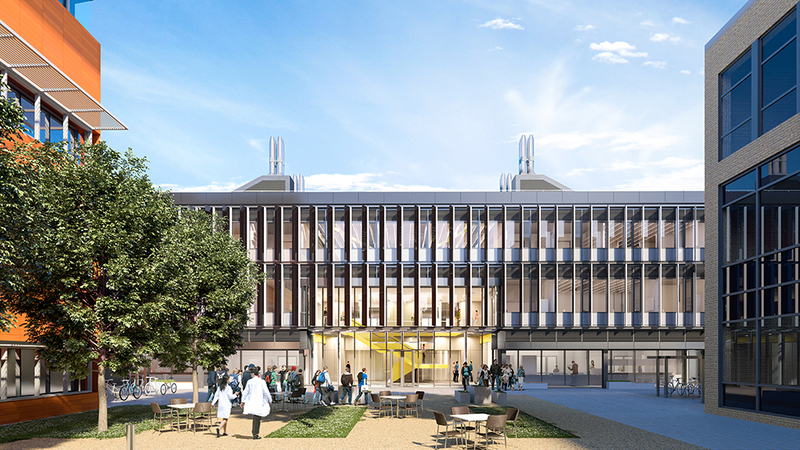 The University of Cambridge has gained planning approval from the local authorities for an innovative new building for the Department of Civil Engineering which will be located on the West Cambridge site. The building is the first step in a longer term aim to move the Department to West Cambridge, and will not only house the University’s civil engineering team, but also the National Research Facility for Infrastructure Sensing, which is part of a UK Collaboration for Research in Infrastructure and Cities (UKCRIC). The three storey building designed by Grimshaw is partly funded by UKCRIC, with research focus on the application and development of advanced sensor technologies for the monitoring of the UK’s existing and future infrastructure, in order to improve resilience and extract maximum whole life value. The design of the building has evolved from the Department’s brief to achieve ‘very low energy buildings’ which aims to minimise energy subject to overall cost-effectiveness. An Energy/Cost metric was developed and has influenced major design decisions affecting energy performance of the building. The building will accommodate workshops, laboratories, and offices as well as informal social space and seminar facilities. Director of Research at the Department, Philip Guildford said ‘The work of our civil engineers is of national importance, promising to help find new solutions and, in doing so, open careers for young engineers, address challenges in our own cities, and create export opportunities’. SDC have been appointed to construct the building and development will commence in the coming months with completion expected in spring 2019. The proposals for the new civil engineering building are part of the University’s plans to create a premier site for physical sciences and technology and a new outline planning application is currently with the local authorities for consideration.